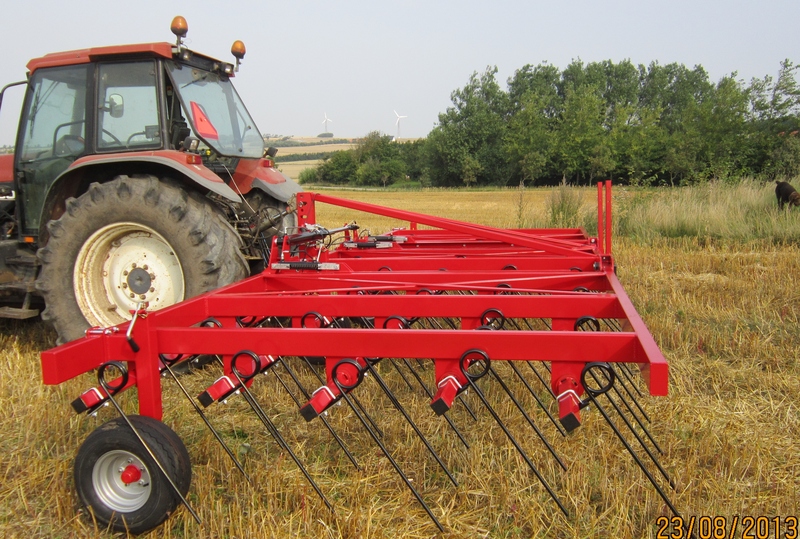 Read more about our new development under CMN flex-weeder. The construction of our new assembly hall is progressing well, we are looking forward to its completion. CMN maskintec A/S is a Danish development and production company in the field of agricultural machinery and garden/park machinery. The product range covers the following areas: Direct seeding in nitrogen-fixing crops, mechanical weed control in farm crops, total cleaning of uncultivated land, crop protection, grain management, and product development. The individual products are described under the main groups. During the season of mechanical weed control, there will be a frequent updating with tips from us or other users of mechanical weed control. If you have some good advice or information which could be useful for your colleagues, we would appreciate your e-mail. Picture to the left shows the CMN couch grass killer 6m.